In 2016 the Codex Alimentarius Commission established a Task Force on antimicrobial resistance (AMR) which will hold its first meeting in Jeju, 27 November – 1 December 2017. Professor Yong Ho Park will chair the task force on behalf of the Republic of Korea. 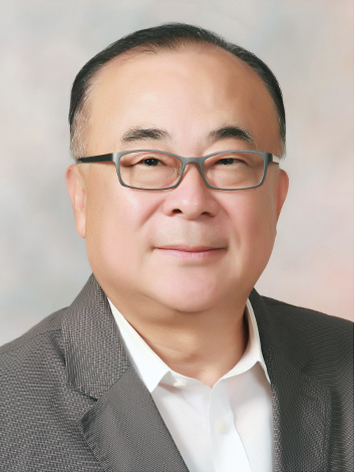 Professor Park holds a doctorate in veterinary medicine and a masters in science from Seoul National University, Korea and a PhD in veterinary microbiology from Washington State University. He has worked in the field of veterinary science for 40 years and is currently Professor of veterinary medicine at Seoul National University. Prof. Park, as we look ahead to the task force what are some of the issues surrounding AMR that you in Korea have been involved in? Last year a national AMR plan came into force and this looks at the use of antimicrobial medicines, preventing the spread of AMR and strengthening surveillance programmes. It also deals with raising awareness, strengthening research and development, and enhancing international collaboration. The action plan and guidelines together with science based risk assessment can have impact. We’re working actively to advocate at all levels. We are already putting AMR messages into school text books, even in elementary school where we have a special guide book for teachers mentioning AMR. What other initiatives will you undertake ahead of the Codex task force meeting? Before the Codex task force session, we are planning a series of activities. We want to explore collaboration on how to develop consensus – to ensure we all speak the same language regarding AMR. We intend to show delegates our own country experience and how we have been preparing for the challenge of AMR over the last 10 years. This will be a critical message for delegates, especially for first time delegates. What role does Codex play regarding AMR? Codex is the coordinator in the farm to fork process. At the farm level there is OIE and then we have FAO and WHO on the other side. Codex is in the middle dealing with the food safety. And the chain goes on to food security and human health. Codex is the on the regulatory side and we need to continue to work at all the different levels for example in developing guidelines and in capacity building. What are the consequences of not doing anything about AMR now? There are estimates that by 2050 the deaths from AMR will be higher than those from cancer or HIV/AIDS. We need surveillance and monitoring programmes and there must be an emphasis on education. We also need effective risk communication from stakeholders to the public. We need to involve animal production, plant production, aquaculture and the environmental people. We need all stakeholders to get together at the same time.